The absence of agreement over the UK's withdrawal from the EU, which would have provided for an orderly Brexit, could very well lead to some serious difficulties for the transport industry. 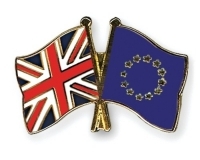 The free flow of merchandise between the EU and the UK could be seriously affected. Whilst the negotiations between the Union and the UK enter their final phase, Jacques Gounon, CEO of Getlink, the company operating the Channel tunnel reminds us of this. More than 1.6 million lorries transit yearly via the Tunnel. The end of the simplified customs procedure would have major impact on logistics flows, which, beyond the neighbouring countries, will affect all of the Member States and the smooth functioning of the Single Market. He hopes for a "frictionless relationship", which in the best scenario would still heavily penalise economic interaction on the continent. France's Return to Europe: on which terms? "The British general elections will be decided on domestic issues rather than on the Brexit." BREXIT or BRITIN : is it really that much colder outside?"